BB Why did you set up the DSC prize for South Asian Literature? SN Reading literature became a passion of mine from a very young age. English literature in particular. My father was a railway officer posted in Amritsar, and I would borrow many books from the railway stalls and read them while waiting for him to finish work. My mother was also a great influence, being educated in Lahore College for Women with a degree in maths and literature. Both of my parents nourished this passion, a passion that I was also lucky enough to share with my husband and pass on to our children. This resulted in our becoming sponsors for the Jaipur Literature Festival - our first serious commitment to the world of literature. It was actually the idea of my son Manhad to launch the DSC prize. I realised immediately that the prize would encourage people all over South Asia to read about their region, its culture, history and people, something I feel many of us do not know enough about - including myself back then. BB Describe some of the challenges in getting such a prize established. SN Of course, like all philanthropic ventures, establishing this prize was not without a number of challenges. The biggest one was sustaining it. Although we have a history of philanthropy in India, people are still suspicious of the intentions behind new ventures. We hoped we would eventually get a sponsor on board to carry the torch. In order to remain a sustainable venture, we need the continued support of a sponsor or the publishing community. BB Tell us about some of the books and authors that the prize has helped to promote. SN The DSC prize has helped elevate many authors and helped them to gain Western recognition. For example, Shehan Karunatilaka's Chinaman, winner of the DSC Prize in 2012: as a debut novel with cricket a predominant theme, it had limited recognition in the subcontinent and in the UK. After winning the prize, Chinaman was published in the US and other international markets, bringing wider recognition not only to the author, but also to Sri Lankan history and societal themes. BB Have certain themes emerged? Is there a distinctive South Asian literature? SN I would argue that new and different themes emerge each year. There is no definitive theme distinctive to South Asian literature. Notable ones have included gender equality and gender issues, migration, alienation and displacement, relationships and identities, personal struggles, and the hopes and aspirations arising from the divisive realities of contemporary South Asian life. Our submissions include a number of writers based outside the region who also bring the subtle nuances of life and culture in South Asia to life. BB Have you observed notable trends developing in the years that the prize has been awarded? SN Entries of the DSC awards always include a healthy mix of debut novelists along with established writers, women writers and translated novels. 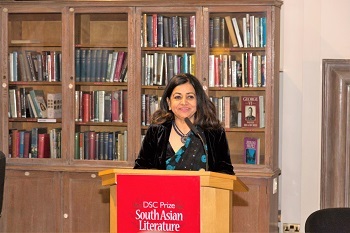 Nearly a quarter of entries this year have come from publishers outside South Asia, which highlights the growing influence the region is having on the literary landscape. 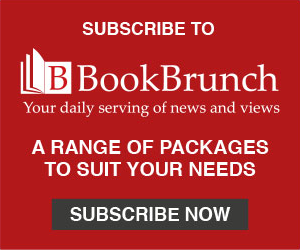 These authors have demonstrated how South Asia can become the hub for literature and writing, using the power of words to convey a message, a sense of belonging, identity and connection with the region. We noticed this year that the majority of submissions was by female writers, who are notably more prepared to tackle experiences and subjects often considered to be taboo, such as aggression and sexuality. The winner of the $25,000 DSC Prize for South Asian Literature will be announced on Friday 25 November at the Tata Steel Kolkata Literary Meet in Kolkata, India.